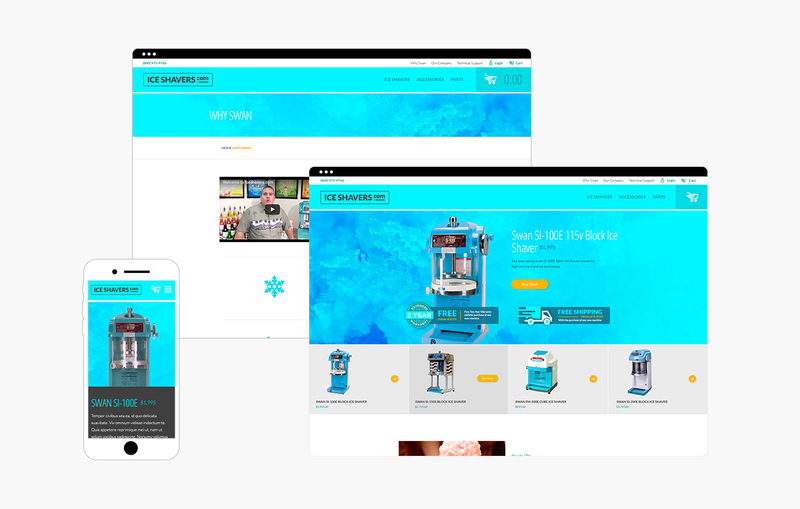 In concurrence with the redesign of Tropical Sno, I also designed the iceshavers.com website. 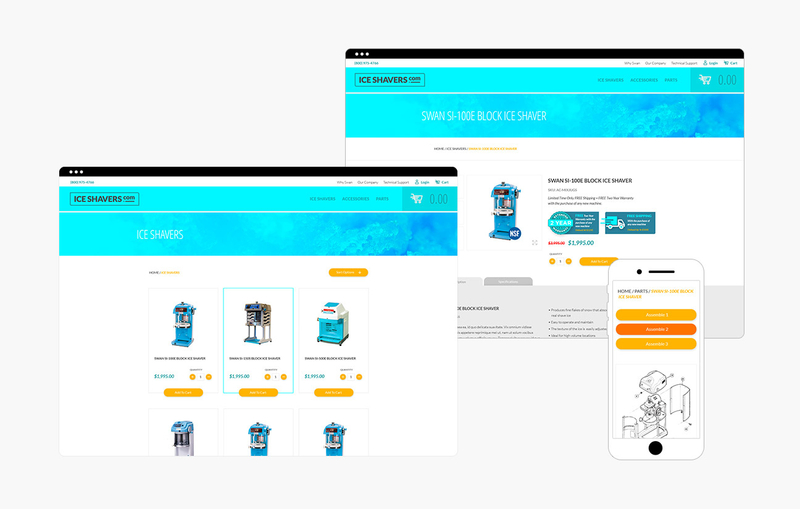 Iceshavers.com is the exclusive Utah dealer for Swan ice shavers, the prefered ice shaving machine for many businesses, as they produce the highest quality snow possible. As the privileged dealer of the Swan ice shaving machines I thought it necessary to create a brand that worked in partnership with the Swan brand. To do this, I used an analogous color palate that pushed the blues into the utmost lucidity, simulating cold ice. As the iceshaver.com brand had no existing logo, I was relied upon to create a quick and simple solution. A uncomplicated and sophisticated typographic treatment succinctly communicated their name and created brand recognition.